IMPROVE YOUR FOOTBALL CONTROL AND SKILLS FAST. This Amazing Football Training Belt helps you to improve on your football control and Skills. RECOMMENDED BY PROFESSIONAL FOOTBALLERS AND COACHES. Multi-Skill solo soccer trainer. Improving skills, confidence and fitness. 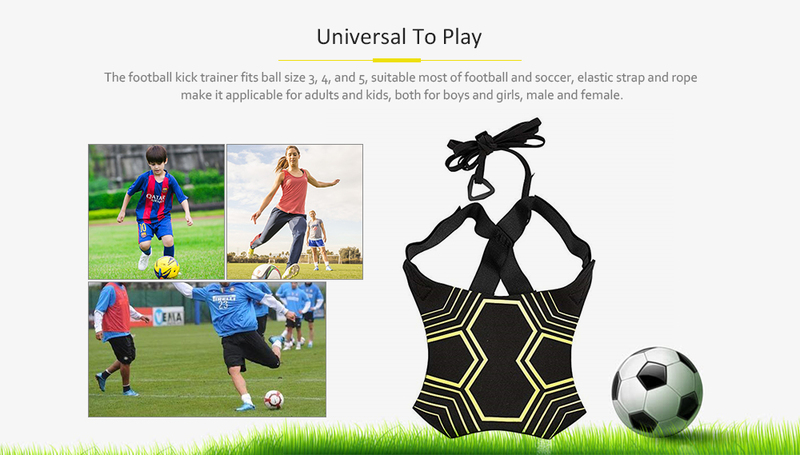 Helps to Improve ball-handling skills, jogging, shooting, passing, catching, dribbling, throwing and goalkeeper skills. Allows players to maximize the number of touches on the ball with more mobility. Belt adjustable ball rope static length of about 1.8m, stretchable 5 - 8m, 0.8cm elastic band + 2.5cm wide magic veneer ball 26 x 26cm, can wrap 3 / 4 / 5 balls. Fits football size #3, #4, and #5 soccer balls. 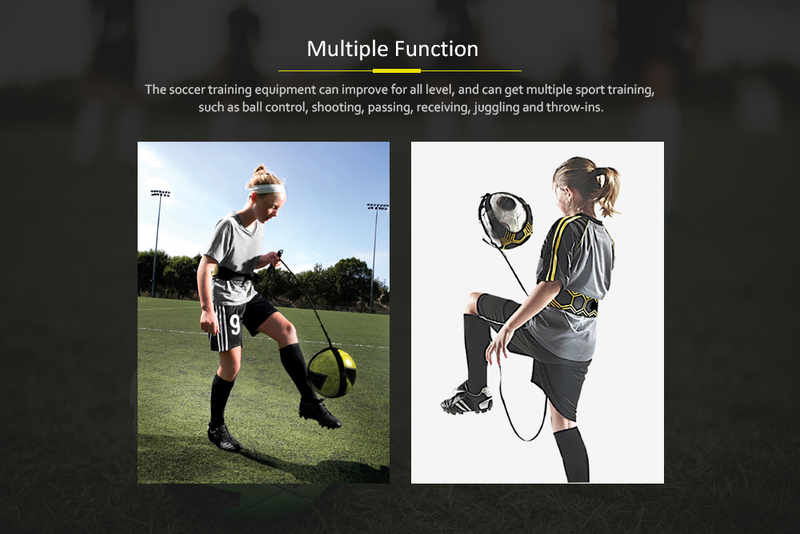 Sole Soccer Trainer: The new evolution football practice trainer is equipped with adjustable belt and elastic rope is perfect for sole training, and can greatly improve your control of the ball with better technique, skills, head to toe. Great thing for training. My son really likes it. I recommend. It's a good product, it took an m to arrive and it was the same of the d is crypt.